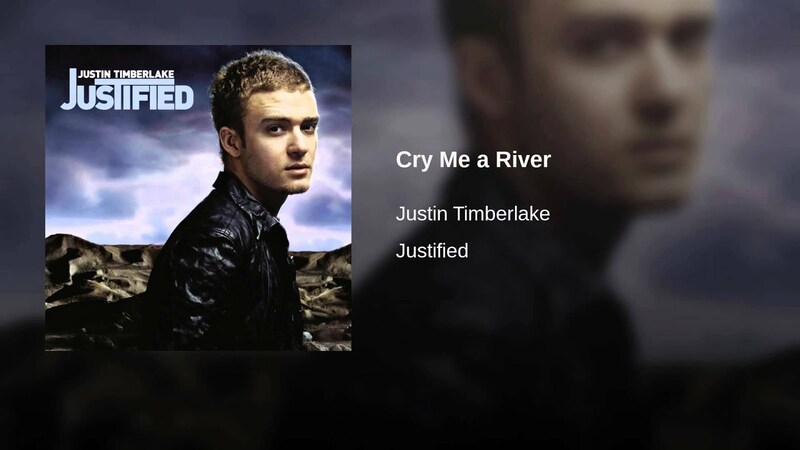 "This week, we look at one of Justin Timberlake’s greatest songs – 2002’s “Cry Me A River” was released as the 2nd single from his 1st solo album “Justified” 15 years Ago, and was one of four songs which were composed by Timbaland (“(Oh No) What You Got”, "Take Me Now" and “Right for Me”. Timberlake & Scott Storch came up with the lyrics to the song and improvised the track over Timbaland’s beat. Justin wrote this song about Britney Spears. In the song, the relationship goes bad because the girl cheated, and to get even, the boy makes sure that the girl finds out he's moved on with his life. The girl gets upset, and "cries a river" because she screwed up and lost the boy forever. The track was written and recorded following a heated phone conversation between Timberlake and Spears. During a E! True Hollywood Story special about Timbaland, the producer explained, "He went to a concert and saw Britney, and Britney talked about him in the show and he was pissed." Timberlake added, "I was on a phone call that was not the most enjoyable phone call. I walked into the studio and he (Timbaland) could tell I was visibly angry." The singer then poured out his furious feelings in the song. In the video, Timberlake uses a video camera to tape him getting hot and heavy with another girl. When his girlfriend (who is played by an actress that looks very much like Britney Spears) comes in, he sets it up so she will see the tape. The video leaves little doubt that it is a message to Spears. The Britney look-a-like was played by actress Lauren Hastings. She recalled to Q magazine June 2009: "I went for a casting and they asked if I'd be comfortable 'making out' with Justin. I said Yes! I had a huge crush on him and once dated a guy just because he looked like him." ◾Scott Storch, who was working with Timbaland, played piano on this track. Storch claims he was not given proper credit for his contributions on this song and should have been listed as a co-producer. ◾After breaking up with Britney, Justin was rumored to date Alyssa Milano and Janet Jackson. ◾ Justin wrote this with Timbaland, who also helped produce it. That's Timbaland doing the rap in the middle.